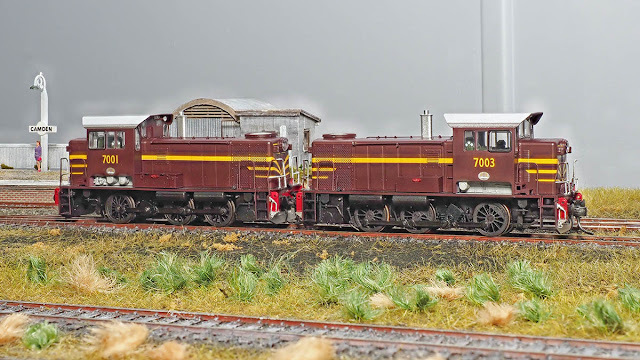 The Campbelltown to Camden Branch - another modellers perspective: October update. I am in the process of making some slight changes to the blog over the next couple of weeks. 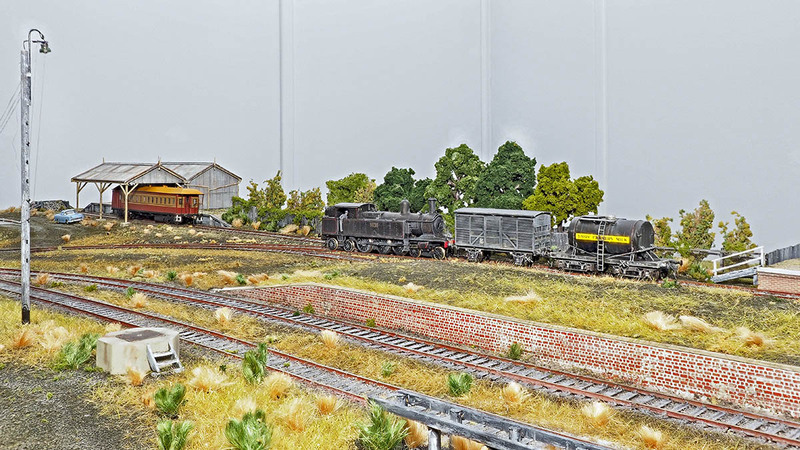 This week time has been spent building paling fences between the goods shed and station as well as planting trees shrubs and vines along the fence. 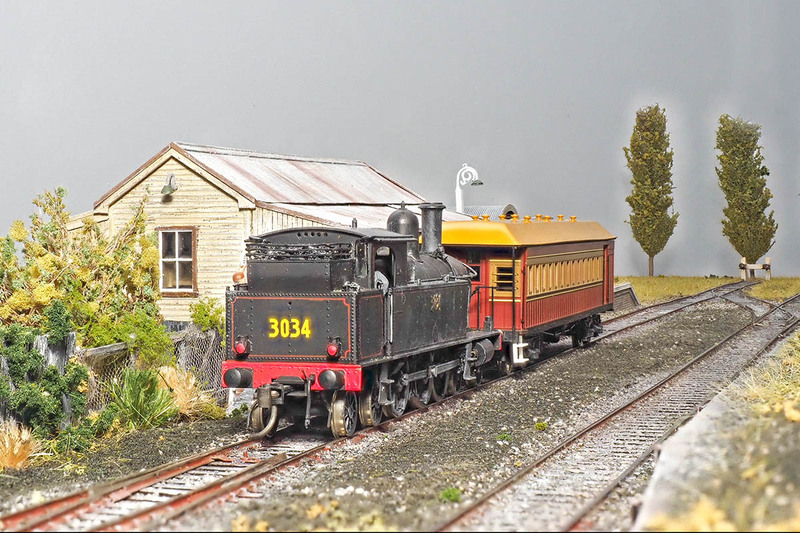 All locos are running well around the yard although the brass 30s occasionally need a slight nudge. Uncoupling and coupling is still prooving to be inconsistant and more research and tweaking required. 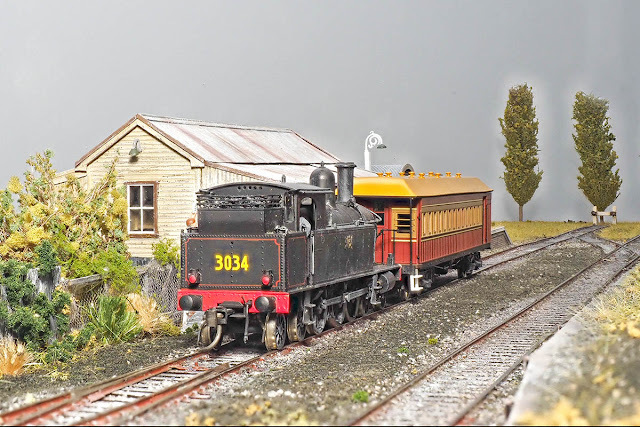 Inspired by a photo taken in 1962 by John S Glastonbury and appears in Byways of Steam 21 page 82. I am currently seeking permission to put the original photo in. A highly unlikely working 7001 and 7003 visit Camden. Kim, good to see you have decided to stay with the blog. It is helping me decide which way I should go, so hurry up with the bridge, please. Thanks Kim, you made my day with those pics ! You know how I said I wasn't wanting to model past Narellan onto Camden, something to do with not be able to run the 41's and 70's past the bridge.....well I think I just changed my mind !